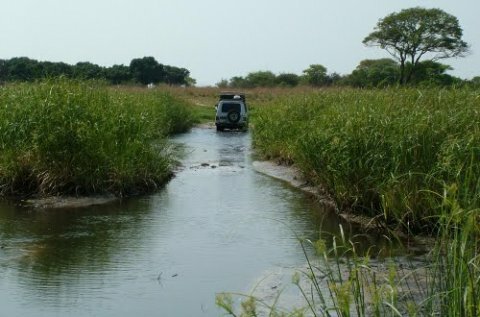 Zambezi West Member of Parliament Christabel Ngimbu says over 12 bridges in her Constituency, have been washed away in Zambezi District, North Western Province. Ms Ngimbu who is also Lands Minister says school children and those in need of health care services are finding it difficult to cross the rivers in the West Bank. She has named affected areas as Kucheka, Mijhijhi, Mwange, and crossing points on the Zambezi River among others. Ms Ngimbu says 12 banana boats worth over 150 Thousand Kwacha have since been bought using Constituency Development Funds – CDF to ease the challenges. She said this in Lusaka when she flagged off two trucks carrying the boats to Zambezi District. The Lawmaker says the boats will be an immediate measure while waiting for the Disaster Management and Mitigation Unit -DMMU to get on the ground. She says the 12 boats now brings to a total of 20 boats bought by the PF Government after the 8 delivered recently. Meanwhile, Chieftainess Mwenda of the Chishinga people in Chipili District, Luapula Province has praised the PF government for taking development to all parts of the country. Chieftainess Mwenda has also praised President Edgar Lungu over the manner the Head of State is superintending over National affairs. The traditional leader said Chipili district has witnessed unprecedented development in the last three years. Chietainess Mwenda has observed that President Lungu means well and is determined to continue and carry on with the many development projects initiated by late President Micheal Sata. The traditional ruler has since advised opposition political leaders to stop making unwarranted attacks on President Lungu. Chietainess Mwenda said this at her palace today when Chipili Member of parliament Davies Mwila who is also Home affairs Minister called on her. Chietainess Mwenda sited the construction of the Chipili -luwingu road, district hospital, Mwenda boarding school and construction of a Boma as among the many projects initiated by the PF government in the last three years. And Mr. Mwila thanked the people of Chipili for giving President Lungu a resounding vote in the January 20th Presidential election. Mr Mwila who is on a tour of developmental projects in his constituency said President Lungu is determined to develop all parts of the country.